Renewa Cool gel overlay side is for added cooling feature, which perfectly disperses your body heat and have you a longer cooler and more comfortable sleep. Top layer allows airflow for a fresh, while the contour shape provides enhanced support relieving pressure on your neck and shoulders. 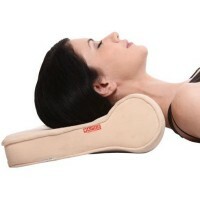 Memory foam conforms to your head, neck and shoulders eliminating uncomfortable pressure points. 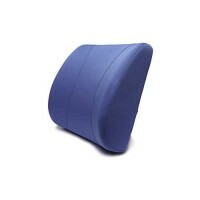 Memory foam encourages improved circulation that reduces tossing and turning. 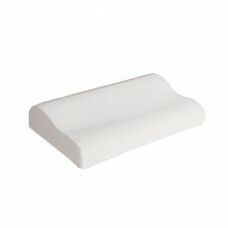 Hypoallergenic, allergy free foam is less likely to cause allergic reactions. 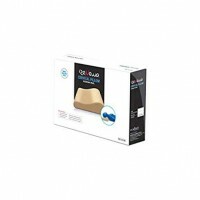 The cool gel pillow responds to temperature and pressure to mold to your shape by creating the perfect support for your head, neck and shoulders, allowing your muscles having a full relax through the night. 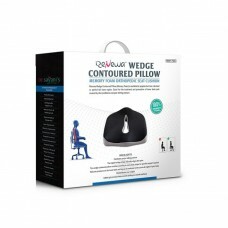 You'll sleep more deeply and wake up feeling refreshed also help relieve neck, back and shoulder pain by reducing pressure points to prevent sore spots during extended use while increasing softness and air flow for the ultimate in sleeping comfort. 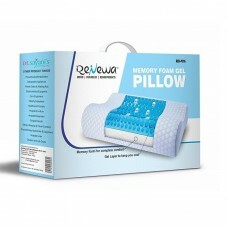 Memory foam tips-arrives tightly packed in portable box for customer convenience. in case you experience an odor which is a inch fresh foam inch odor and it is not harmful. The odor should dissipate within 30 minutes from when the foam is unpacked and aired out. vacuum sealing sometimes traps odors. 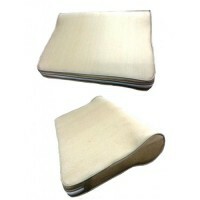 About Renewa: Renewa is a Imported product. It's a high quality luxury and hospitality products. 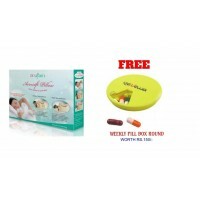 Just try our products and we guarantee that you won't be disappointed.